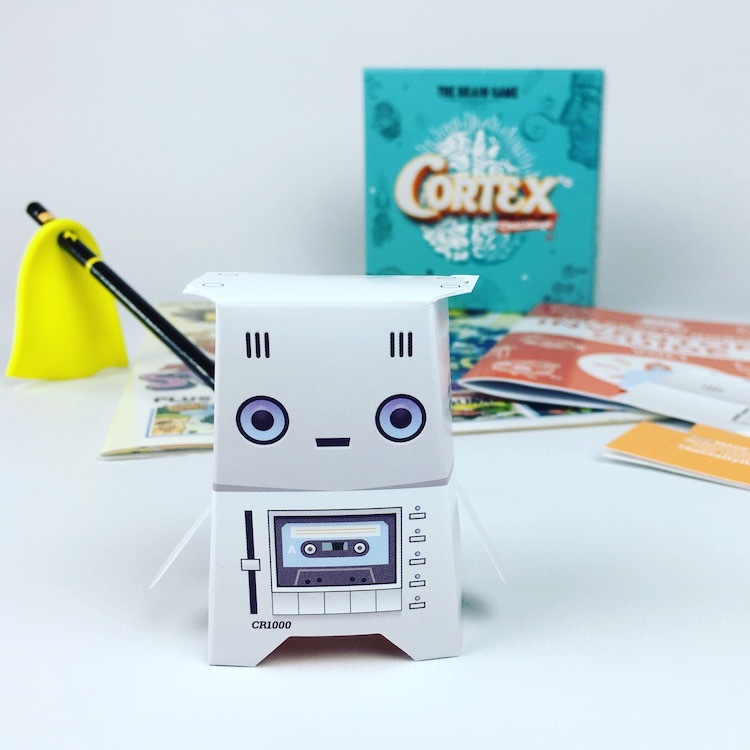 Muddy says: If you want to fire up your kids’ imaginations, buy them one of these inspiring boxes full of educational fun stuff to do and learn. Wouldn’t it be great to have inspired kids who love learning? 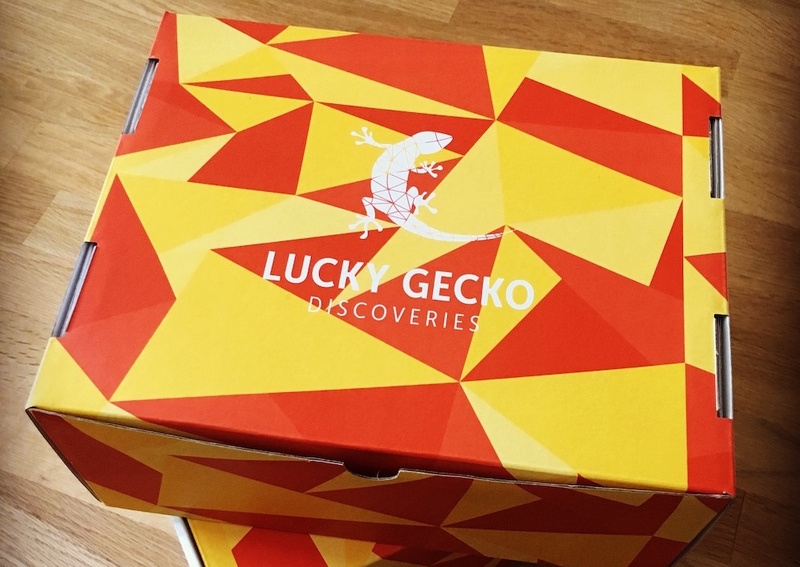 Lucky Gecko Discoveries aim to do just that by putting the fun back into education through their Discovery Boxes and Mini-Packs. Aimed at kids aged from about 8 – 12, they come in different ability levels, learning styles and topics, and are designed to allow children to bridge that gap between what they learn at school and the real world. Currently, their boxes and mini packs consist of Kids Rule, Midwinter, Sleuth and Ornithology but new ones are added regularly, including a summer holiday box. 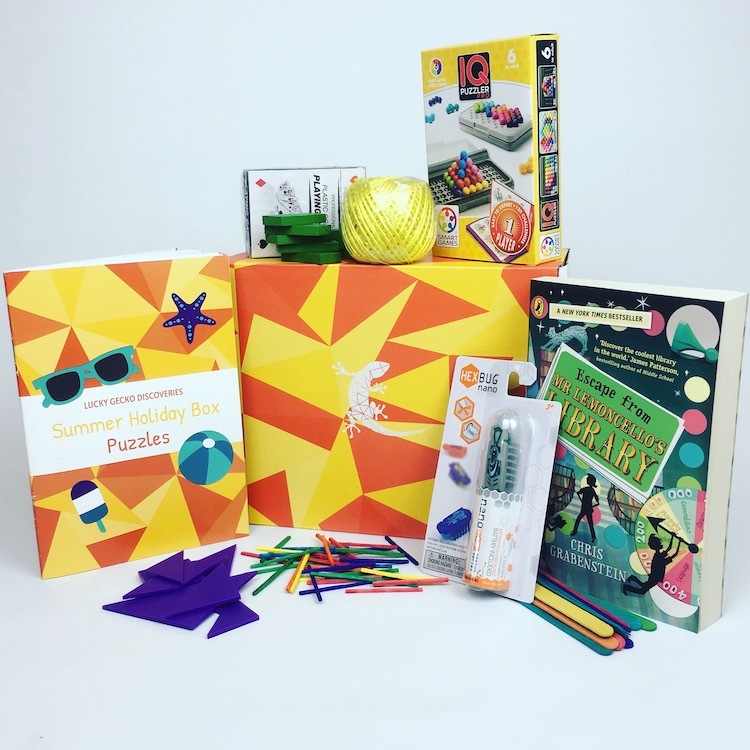 Each contains educational items – a book related to the theme, a board game, craft activities, vocab exercises, competitions, challenges and puzzles. 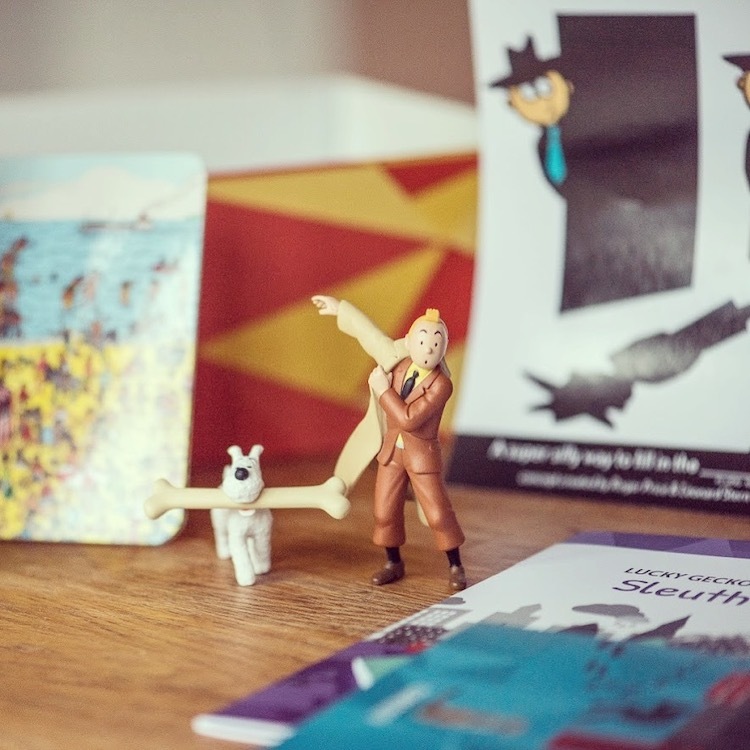 So in the Sleuth box you’ll receive (amongst other things) an intruder alarm kit, invisible ink pens, a Morse Code kit, reading book and a good luck charm. Cool, right? It’ll get your kid thinking logically, and is great practice for the code work they might encounter at 11 plus or Common Entrance. Most of all though, the boxes and packs are about having fun, fuelling imaginations and instilling a confidence and curiosity. We’re all for that!